NEW ORLEANS (WVUE) -The person who attempted to jump from the Huey P. Long Bridge before a three-hour stand-off has been identified as a New Orleans school president. According to a Carlton Dufrechau, general manager of the bridge, De La Salle High School President Michael Giambelluca was the man who attempted to jump from the bridge Monday evening. A press release issued by De La Salle High School said Giambelluca is now on a leave of absence from the school. 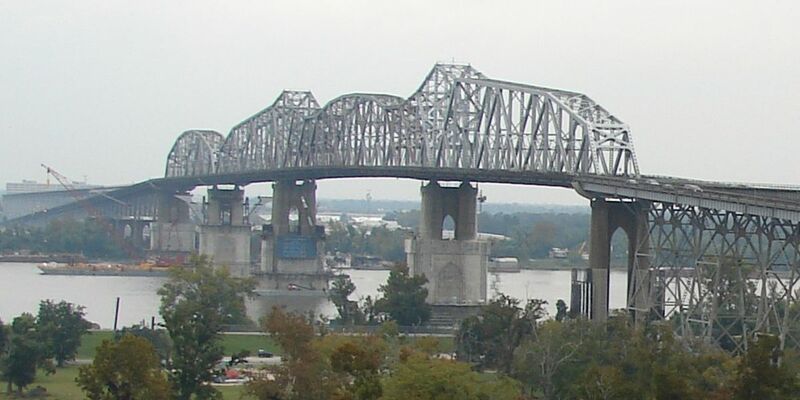 According to Causeway Police, Giambelluca attempted to jump from the Huey P. Long Bridge when a Causeway Police officer grabbed him by his shirt. He fell on to a girder where he remained for three hours as officers tried to negotiate with him. Giambelluca was removed from the girder and taken to a medical facility.